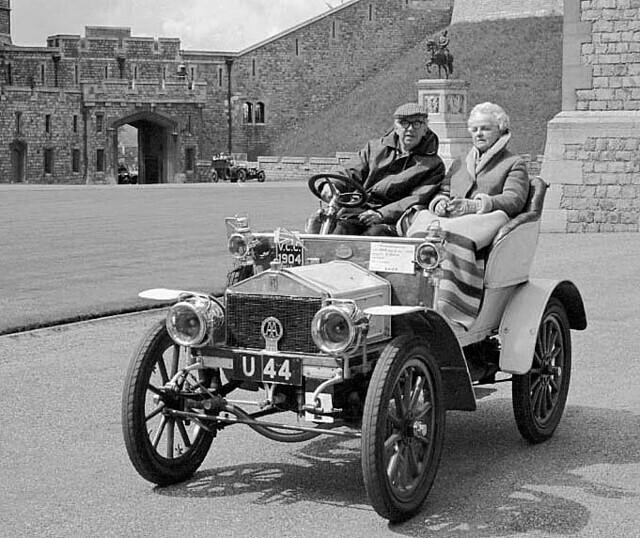 Here is the oldest surviving Rolls-Royce #20154 seen in 1977 at Windsor during the Queen's Silver Jubilee tour. They look like they are having a great time don't they. And from the same day, but now in glorious colour. Notice SU13 in the background.